You’re invited to a New Year’s celebration… in November! A few weeks ago in mediation, I received a clear message from the Lemurian Council of the Blue Rose, an etheric group of wise beings who are dedicated to preserving and sharing ancient Lemurian wisdom. They told me a major theme for the coming year is FREEDOM. The Council is encouraging us to free ourselves from old thoughts, release attachments to the past, and open our hearts. They want us to experience true freedom so we can create lives of joy and fulfillment. As we move into 2016, the energies of ascension are accelerating, and the shifts we’re experiencing are not always easy. If we want to awaken and evolve as gracefully and as comfortably as possible, we need to raise our vibrations as high as we can. To do this we need to let go of old energies that no longer serve us. For the last two years I’ve celebrated Lemurian New Year (November 11th) by doing a special group healing and energy activation event for a limited audience. 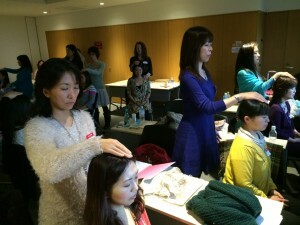 The first year, more than 100 people participated. 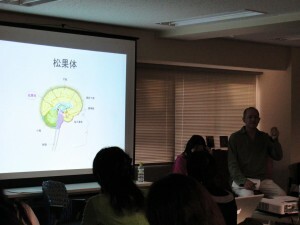 Last year, we had more than 200 participants. This year’s event promises to be more powerful than before because I’m inviting people from all over the world to participate. When a group of people focuses their attention spiritually at the same time for a common purpose, something magical happens. The energies involved increase exponentially. More spirit beings choose to participate, and more people are able to experience profound healings and spiritual awakenings. If you’re ready to lighten your heart and experience more love in your life, join me November 11 and receive a special, two-part gift of energy. First, the Lemurian Council of the Blue Rose and I will conduct a long-distance group healing to help you free yourself from the past—from old thoughts, old beliefs, and old emotional energy. Then, we’ll help you align with your higher self and awaken your Divine Heart. What is your Divine Heart? It’s the core of your true being. It is the eternal part of you that knows only love and trust and compassion. 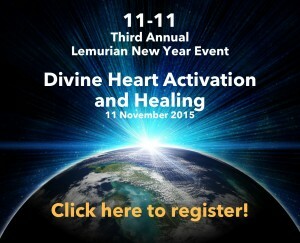 I hope you can join me for this special Lemurian New Year 11-11 event. You’ll find all the details at davidbower.com. P.S. I’ll also be channeling a special message for the group on November 11. So, if you choose to participate in the 11-11 event, I’ll send you the channeled message by email. You can register at davidbower.com. 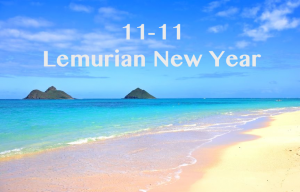 You can also read my article explaining why we celebrate Lemurian New Year on 11-11. 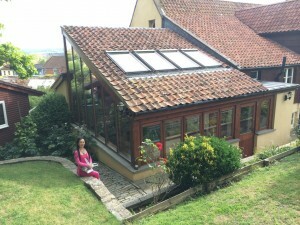 British summers are notoriously cool and often wet, yet we had absolutely perfect weather for our Lemurian Healing workshops in Glastonbury UK last month. I am honored to officially welcome our newest certified Lemurian Healing practitioners from the UK, Denmark and Switzerland. And I extend loving congratulations to the first graduates of our Master Level 1 Course! 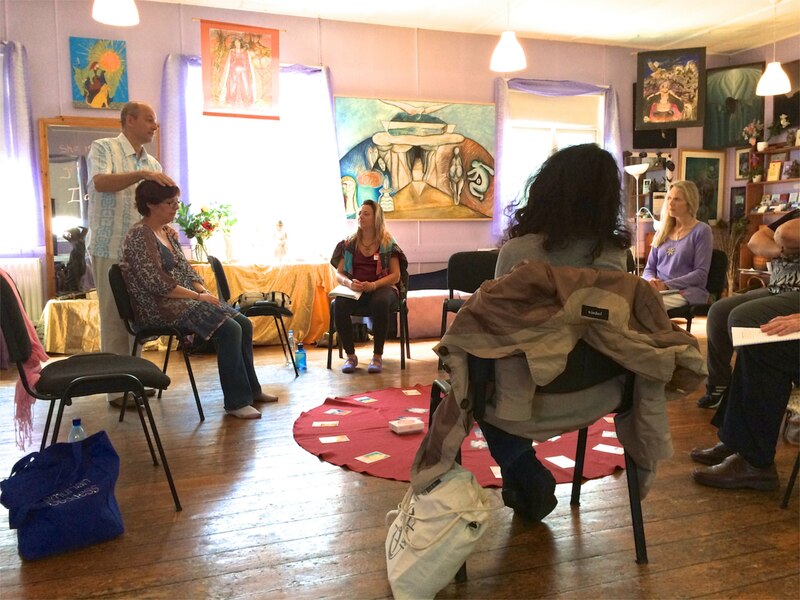 Our venue this year was the Goddess Hall, a magnificent building that’s been transformed by the owners and supporters of Glastonbury Goddess Temple into an ideal space for spiritual learning, ceremony and healing. 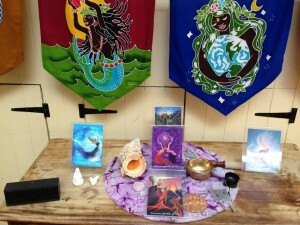 The Goddess Hall was perfect for Lemurian Healing because every square inch is infused with divine feminine energy. 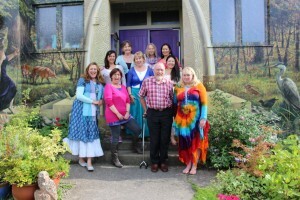 We were blessed to be able to use this wonderful facility for all six days of our workshops. I am continually learning to trust the unfolding of life, which includes the business of teaching and presenting workshops. The light of Lemuria attracts those who are meant to awaken to their Lemurian roots. 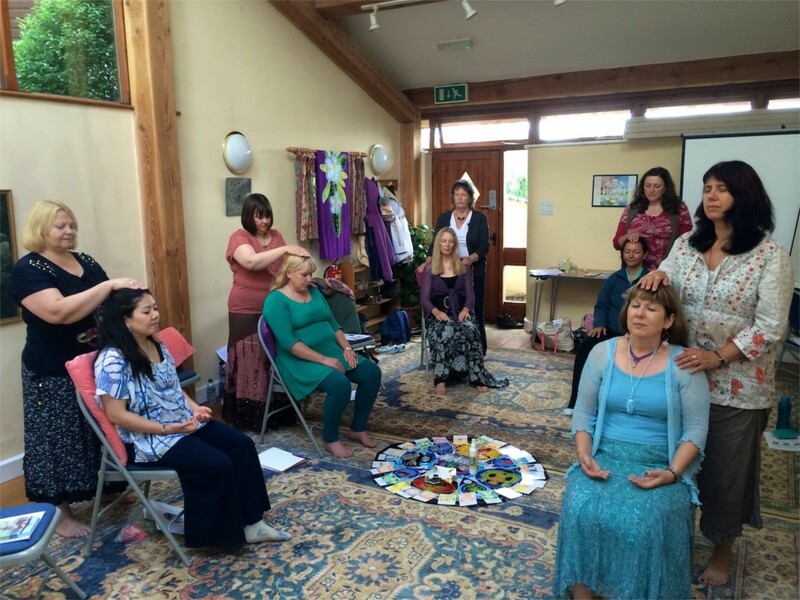 This was our second year teaching Lemurian Healing in Glastonbury, and just like last year, those who were meant to join our sacred circle found their way to us. No matter how many times I’ve experienced it, I still enjoy the awakening and bonding that happens in our Lemurian Healing workshops. Individuals come together feeling like strangers meeting for the first time, but by the end four days, the group feels like a spiritual family reunited. 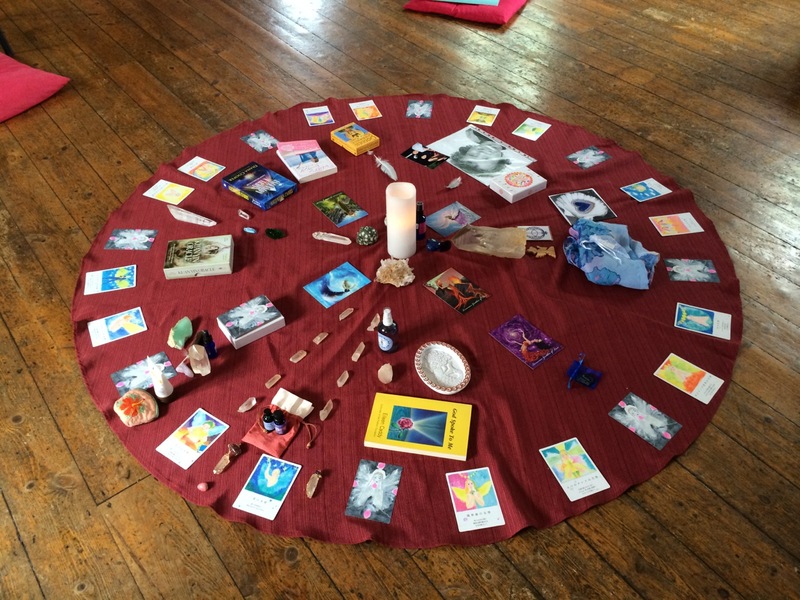 Plus, the group energy always becomes a focal point for our non-physical friends—our higher selves, spirit guides, angels, councils and Goddesses—to contribute their love and light to the proceedings. The gathering becomes a virtual sauna of love energy. 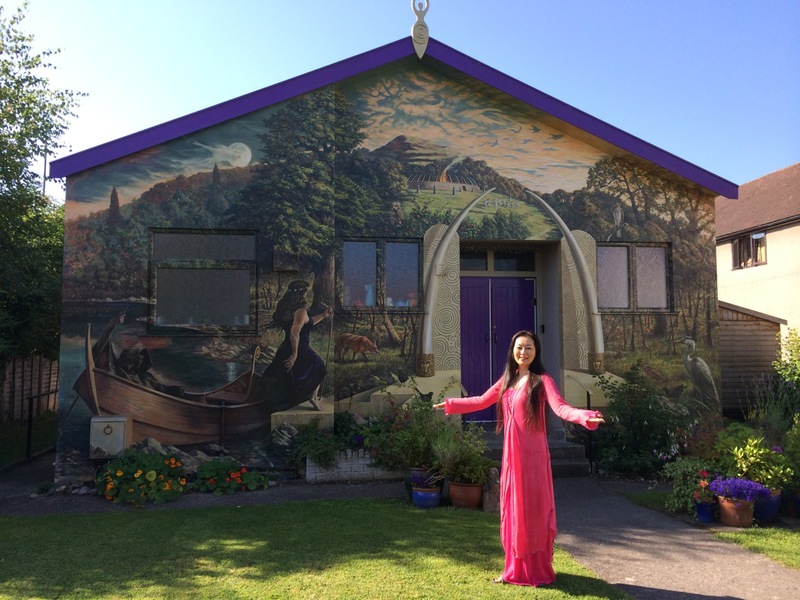 Mamiko and I love spending time in and around Glastonbury, the sacred center of ancient Avalon. We feel an undeniable connection between the mystical realms of Avalon and Lemuria. Their vibrations are similar, which makes sense. Both are manifestations of divine feminine light. 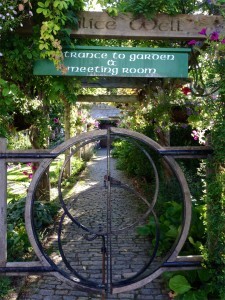 We especially enjoy the sacred feminine energy of the Chalice Well gardens at the foot of the famous Glastonbury Tor. In the serenity of the gardens, we feel the divine presence of the Goddess, who assures us that the effort of bringing Lemurian Healing from Hawaii to Glastonbury is well worth the time and effort. And we are forever grateful for the opportunities we’ve been given to share the light of Lemuria so far from home. Greetings from Lemuria! It’s hard to believe we’re already halfway through the year. 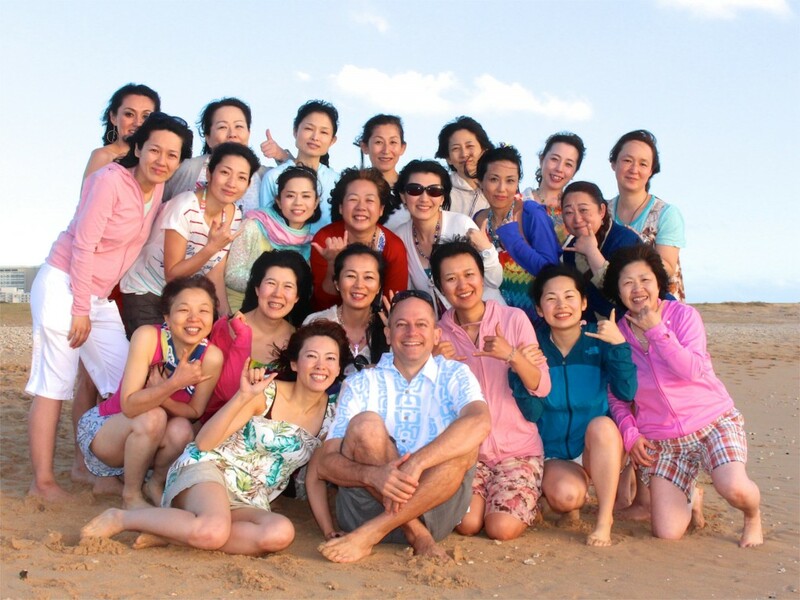 As I shared at the end of last year, one of the big themes for 2015 is abundance. According to Lemurian numerology, 2015 is an “8” year (2+0+1+5=8). Think of the number 8 as the symbol for infinity ∞ turned on its side. So on one level, 2015 is about letting go of limitations and embracing the limitless abundance available to us from the Universe. On another level the number 8 also represents the weave between the physical world and the non-physical realms of spirit. This year is offering us a wonderful opportunity to strengthen our connections to our higher selves, angels, spirit guides and other beings of light. Friendly reminder: Do not hesitate to ask your higher self and guides to help you manifest the kinds of abundance you truly desire! Here’s a quick recap of the workshops and private sessions available in English this year. 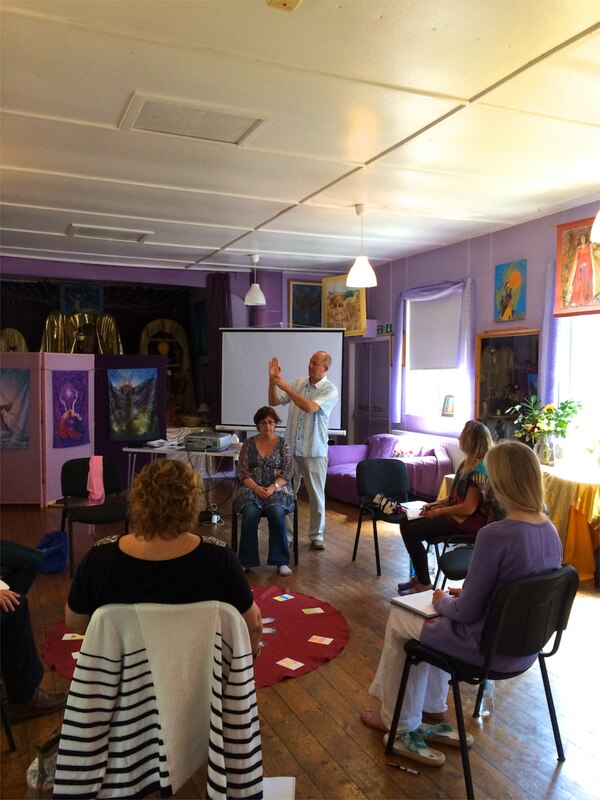 Spaces are still available for our Basic Level and Certified Practitioner workshops in Glastonbury UK, the legendary location of the ancient and mystical land of Avalon. The weekend following our Basic and Practitioner courses, we’re offering our first Master Course (Level 1) outside of Japan. If you complete the Certified Practitioner Course, you are eligible to participate. It helps if you’ve had some experience working with clients (using any therapy or modality), but it’s not essential. I’ve made arrangements to offer private healing sessions on one day during our visit to Glastonbury in August. If you’re planning to be in the area or choose to make the journey, here are the details. Sessions will be held Thursday, August 13 in Glastonbury UK. The therapy room is located near the bottom of the High Street. The cost of a 60-minute Lemurian Healing session with David is only £60. Bookings are available on a first come, first served basis. 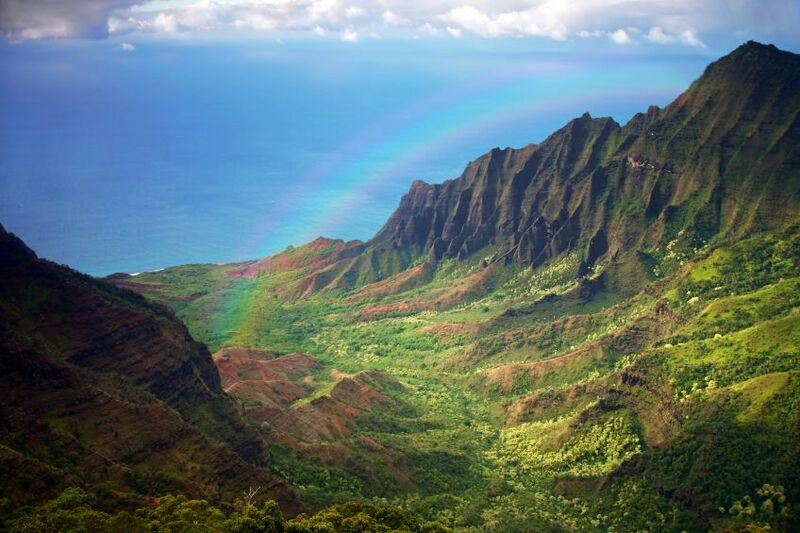 As another important milestone for Lemurian Healing, we’re holding our very first teacher certification course in English in Honolulu, October 19-21. We’re thrilled at the prospect of having Lemurian Healing teachers spreading the light and love of Lemuria in the UK and Europe! 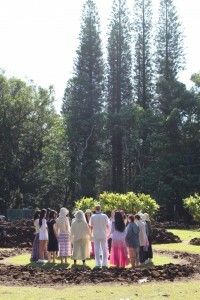 We conduct our three-day teacher training exclusively in Hawaii because of its strong connection to Lemurian energy. 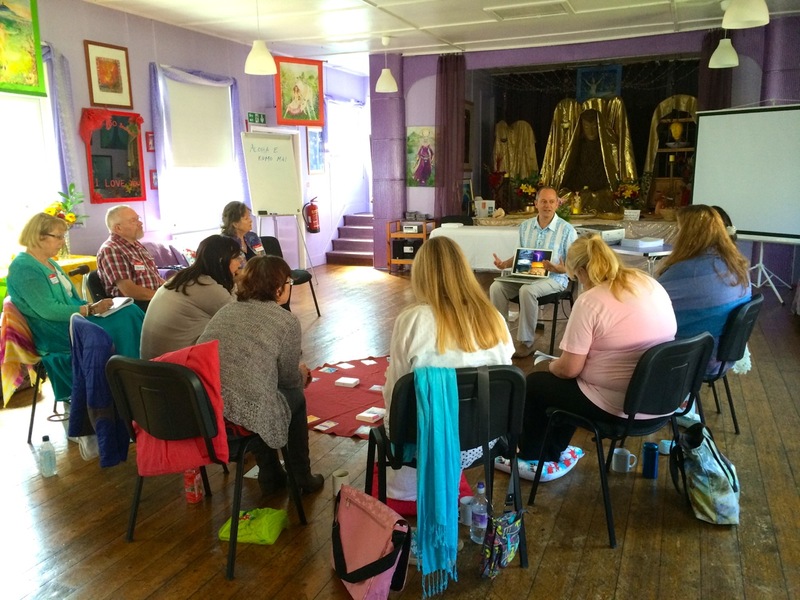 Of the nearly 200 practitioners who have completed this course, many have said it was a life-changing experience. As you probably recall, our Lemurian Healing modality is based on concepts and techniques developed in the Goddess temples of ancient Lemuria. Originally, the temple priestesses used this wisdom to shift between dimensions. Using their focused intention, they could alter their vibration and bring themselves into alignment with higher or lower levels of conscious awareness. For several years now, Mamiko has been bringing forth wisdom from Lemurian Goddesses and the Goddess temples of Lemuria. 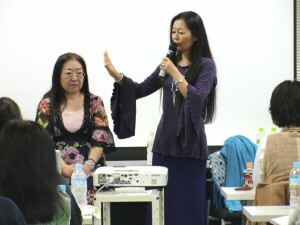 She’s been teaching five different Lemurian Goddess Temple workshops in Japan and training groups of priestesses. Over the last two years, Lemurian Goddesses have been guiding her (and sometimes waking her in the middle of the night) to finish writing a book about them. Well, the process is nearly complete. Her publishing company has sent her new 300-page book to the printers and it will be released later this month in Japan. 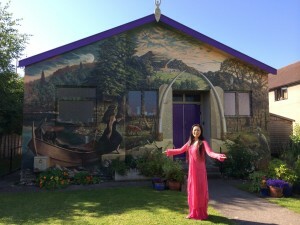 While various people around the world are writing and teaching about Lemuria, I believe Mamiko is the only one who is bringing forth information and wisdom from the five elemental Goddess temples of Earth, Water, Air, Fire and Love. Selfishly, I want her book to be available in English because I don’t read Japanese! I also feel this information would be valuable to many people around the world who are remembering their connection to Lemuria and awakening the divine feminine energy within themselves. Will you join me in holding the vision that the book Lemurian Goddess gets translated and published in English and other languages soon? Mahalo! We’re excited to announce new Lemurian Healing workshops in English for 2015. 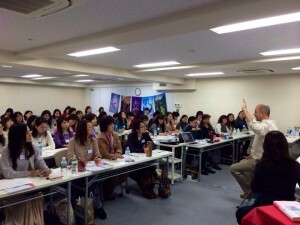 This might not sound like a big deal, but we’ve been teaching mainly in Japanese these last eight years, and we’re starting to spread our reach around the world. 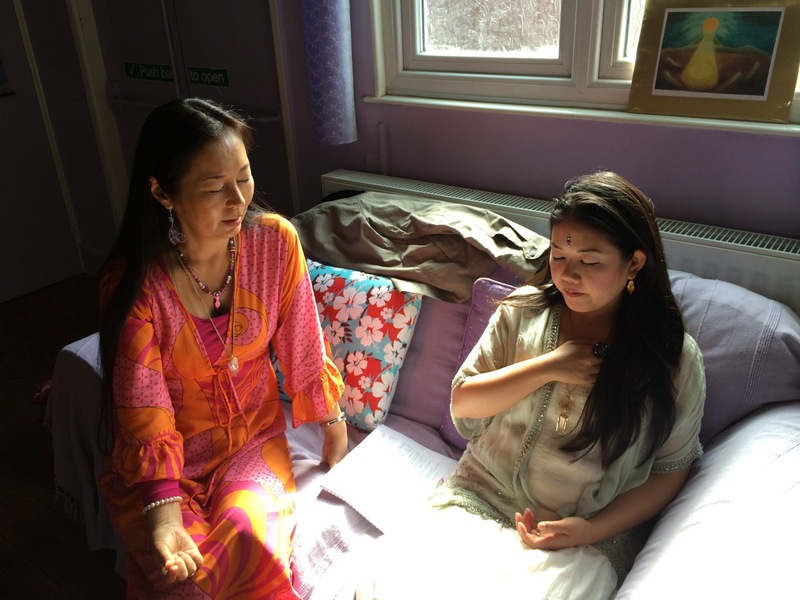 Last year Mamiko and I travelled half-way around the globe from Hawaii to Glastonbury, UK to present our first Lemurian Healing workshops to an English-speaking audience. The reception we experienced was better than we ever imagined. 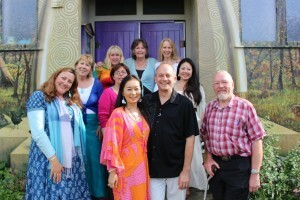 We certified 10 passionate Lemurian Healing practitioners, including healers from Ukraine, Hungary and the Netherlands. Plus, we discovered there are many people in Europe who feel a connection with Lemuria and are interested in learning Lemurian Healing. So, riding the momentum of last year, we’ve just confirmed dates and venues for English-language workshops in the UK and Hawaii. Mark your calendars! Anyone can learn Lemurian Healing. It’s simple, powerful and requires no prior experience. 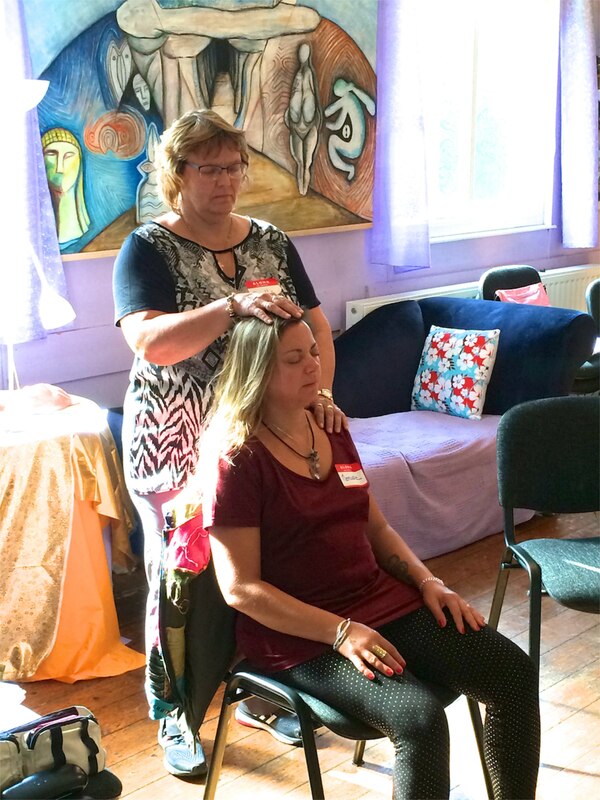 This is a fun, hands-on, two-day workshop that teaches you the underlying basics of Lemurian Healing and how to do a complete healing session on family and friends (and yourself). 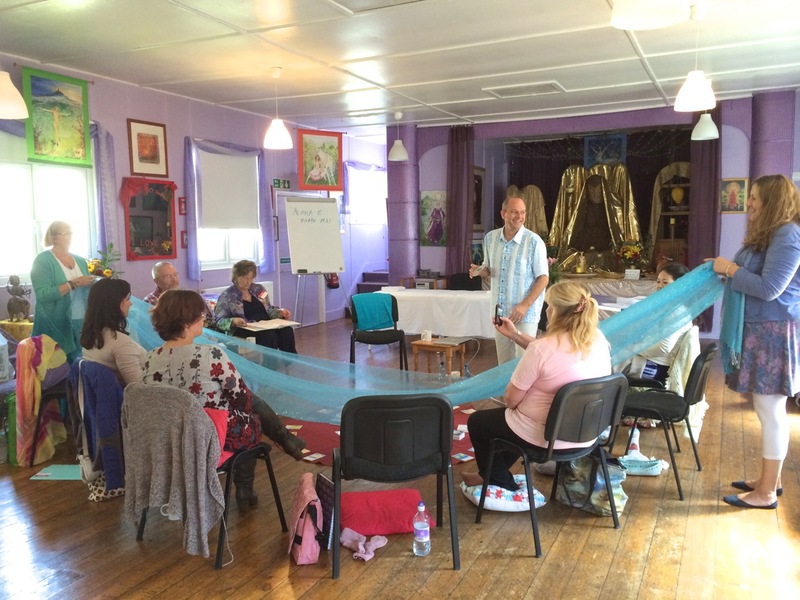 Immediately following the Basic Level Course, we’re offering an additional two-day workshop for those wishing to become certified Lemurian Healing practitioners. 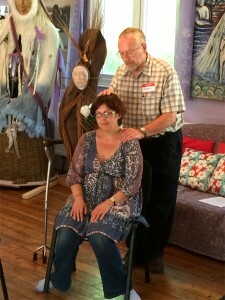 In addition to learning advanced techniques, such as long-distance healing and toning, you’ll gain practical experience in working with clients before, during and after a Lemurian Healing session. 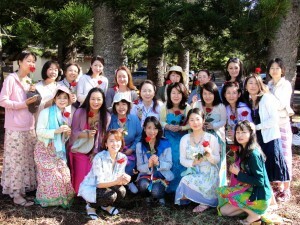 Since we first offered teacher training in Hawaii six years ago, at least half the attendees have had no initial intention of becoming teachers. They come because they know it will be a transformative, once-in-a-lifetime experience. 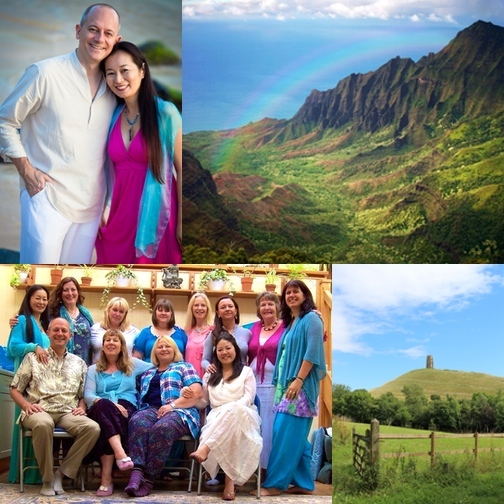 We hold this three-day workshop in Hawaii because the Lemurian energy here is undeniably strong (these islands are the ancient mountaintops of Lemuria). 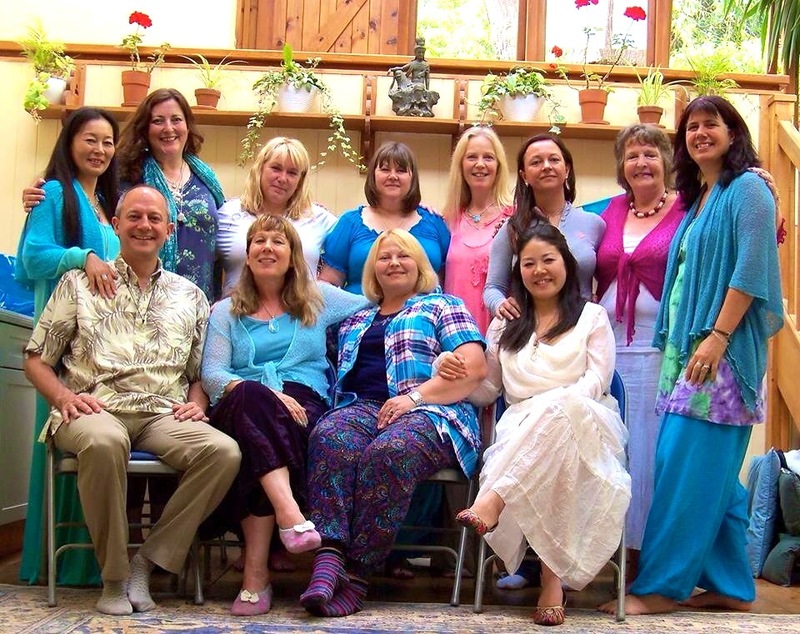 Through sacred ceremonies, we help participants awaken the light of Lemuria in their hearts. If you become a Certified Practitioner in Glastonbury in August, you’ll be eligible to attend this special workshop in October. Details about workshop pricing (especially early-bird pricing for the UK) and registration will be posted soon. Stay tuned! I love it when things turn out better than expected. As a teacher and workshop facilitator, I can tell you it takes a lot of energy and effort to create a new course, especially when it’s full of new material. 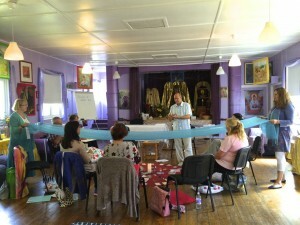 This time it was a Master Course for Lemurian Healing practitioners and teachers. 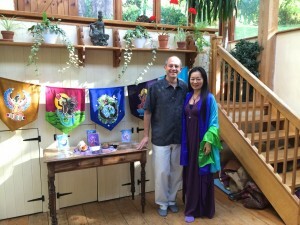 Although we’ve been teaching Lemurian Healing and training teachers for several years, this was the first time Mamiko and I shared mastery-level concepts and taught new healing techniques. We even introduced the group to a powerful, ancient Elven healing method that was used in Lemuria. 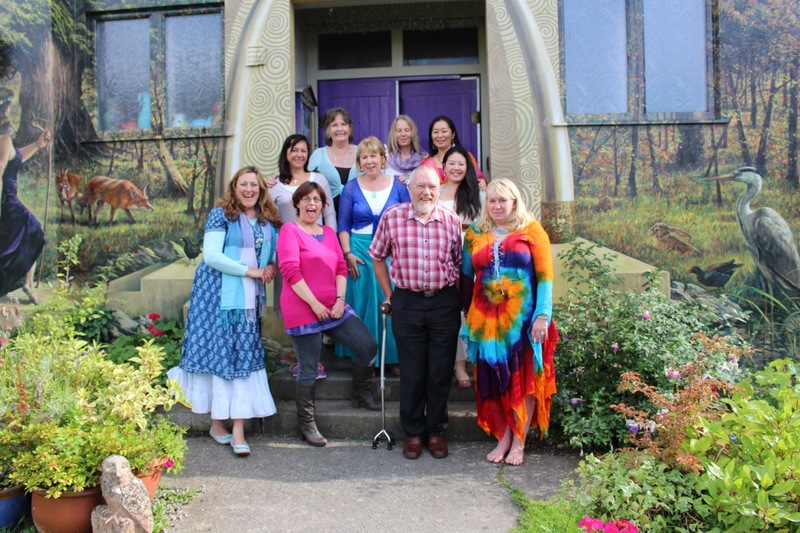 Teachers from all 11 graduating classes attended the Master Course and teacher training. We not only presented a two-day Master Course for 50 practitioners, we held a day of teacher training for 40 of our certified teachers. Plus, we created a 40-page textbook just for this material. Even after all the planning preparation, we didn’t quite know what to expect. 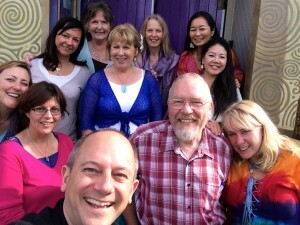 So, what happens when you put 50 experienced healers together in a room and ask them to channel high-frequency energy? The response from participants has been overwhelmingly positive. They’ve been posting stories on their blogs and filling our Facebook timelines with their workshop photos and glowing reviews of their experience. 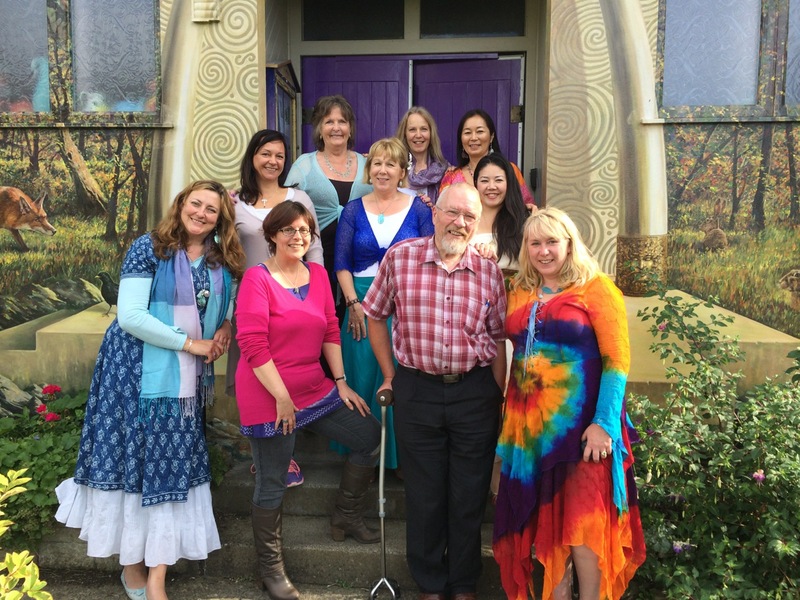 It appears our Master Course lit a fire under many of our healers. They’re excited about using the new healing techniques with clients and sharing mastery-level concepts with their students. This Master Course experience also inspired Mamiko and me with new passion for Lemurian Healing. 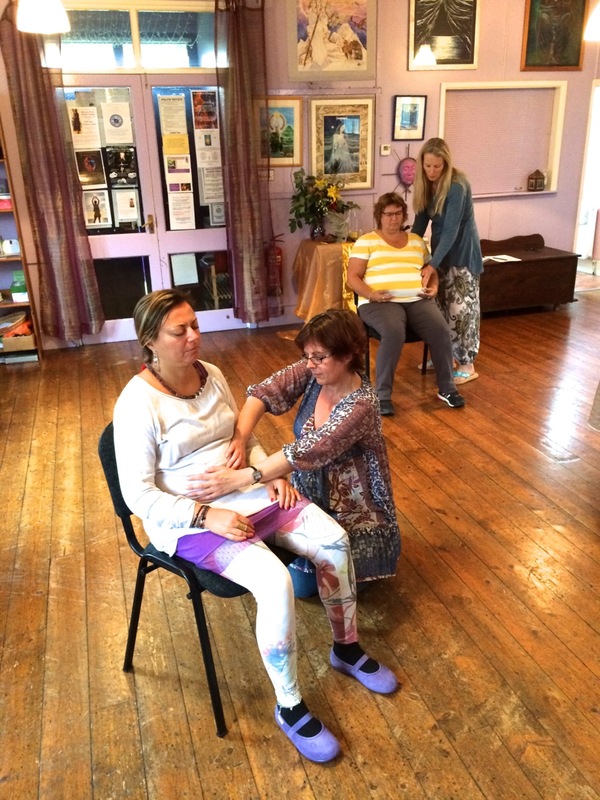 We’re truly looking forward to supporting our loving practitioners and teachers in 2015 and sharing Lemurian Healing with more awakening souls around the world. 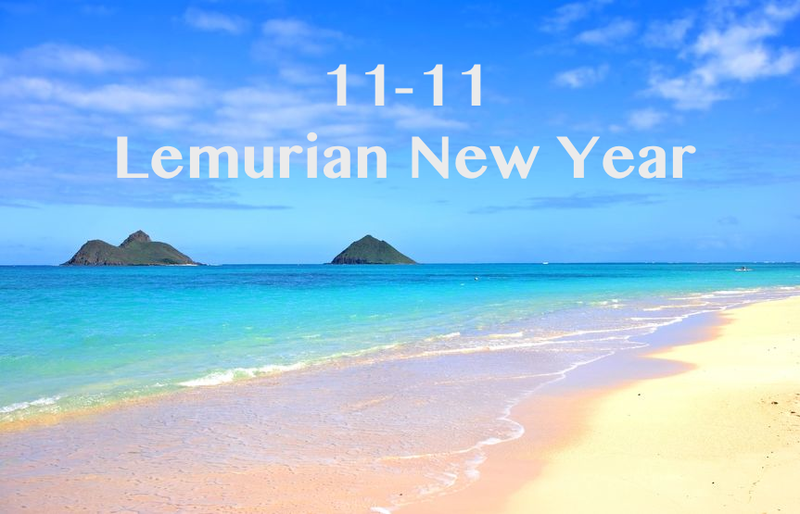 November 11 is the closest thing we have to Lemurian New Year, primarily because of the significance of the number sequence 1111. This number held a special significance in Lemuria. It’s also known as a Goddess number and a magical code from the Elven realm. 1111 has been an important key to spiritual awakening. For the last 15 years, an increasing number of people have been noticing this number sequence repeatedly and wondering why it keeps appearing to them. What does 1111 represent? On one level it represents the four elements—earth, water, air and fire—as well as the Lemurian Goddesses associated with these elements. On another level, it signifies the four energetic bodies we all possess: physical, emotional, mental and spiritual. According to ancient Lemurian numerology, the sequence 1111 reduces to the number 4 (1+1+1+1=4), which represents these four energetic bodies as well as the realm of thought. Overall, 1111 is a code that’s awakening us to the tremendous changes taking place on this planet, a process many people are calling the Great Shift in Consciousness or simply the Shift. A couple of months ago during meditation, my spirit guides shared with me that abundance will be a major theme in 2015. This is not just about money, although most of us would like to have more money. This is about abundance in all forms. What types of abundance would you like to experience in the months ahead? More friends? More opportunities to travel? Better job opportunities? Increased psychic abilities? More clients? More laughter and joy? This is a perfect time to establish a clear, powerful intention to start receiving the kinds of abundance that are important to you. The year 2015 is an “8” according to Lemurian numerology. The number 8 is the symbol for infinity ∞ turned on its side. So on one level, 2015 is about letting go of limitations and embracing the limitless abundance available to you from the Universe. On another level the number 8 also represents the weave between the physical world and the non-physical world of spirit. During 2015, you will have a wonderful opportunity to strengthen your connections to your higher self, angels, spirit guides and other beings of light. It is my sincere desire that your new year is filled with abundance, joy and love. Our first-ever Lemurian Healing workshops in the UK earlier this month unfolded better than we could have ever expected. 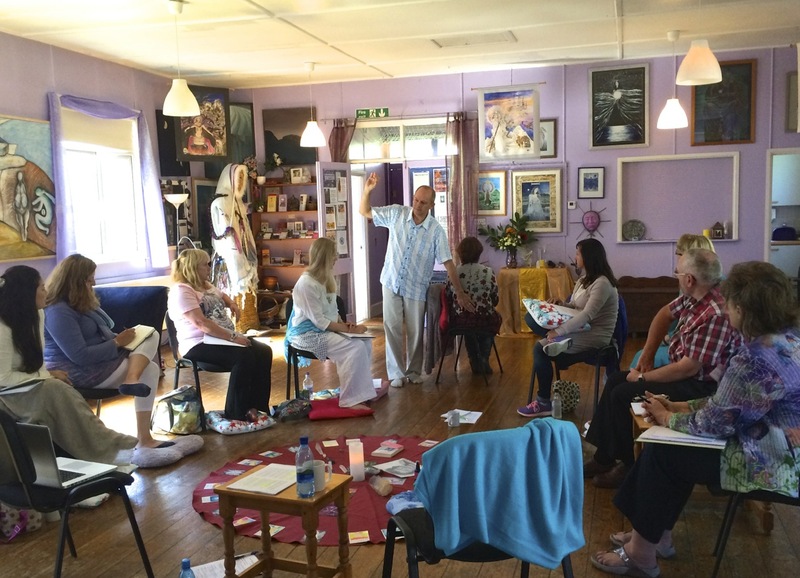 Over the course of four days in Glastonbury, England (site of the ancient and mystical realm of Avalon), our international group of passionate participants opened their hearts to Lemurian love and light and experienced the power and simplicity of Lemurian Healing. Even on the first morning Mamiko and I felt that something special was unfolding. As we took turns introducing ourselves around the circle, it was clear that everyone had a strong connection to ancient Lemuria. Each participant shared a different story of feeling compelled to join these workshops, even though they had no idea who we were. Until this visit, we had had no reputation outside of Japan. 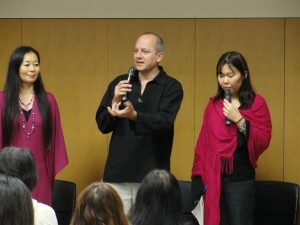 In fact this was our first attempt at teaching Lemurian Healing to an English-speaking audience! This reunion of Lemurian souls was a true international gathering. 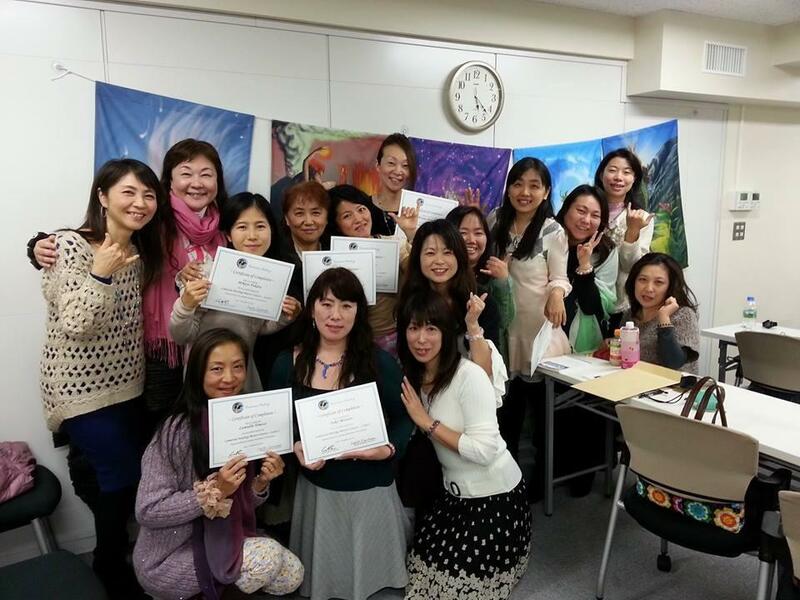 Our participants hailed from the UK, Hungary, Japan and Ukraine. 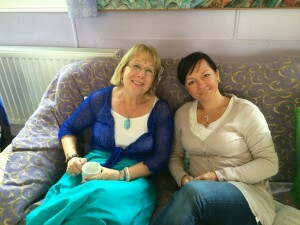 And Marion, our priestess friend and local host, is originally from the Netherlands. 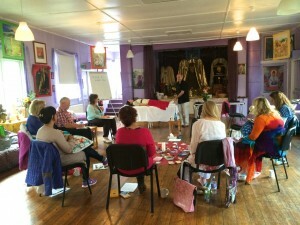 The group picked up the basics of Lemurian Healing quickly as they practiced each new component with one other. 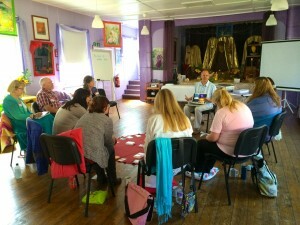 A great deal of healing, awakening and re-connecting took place during our four days together. 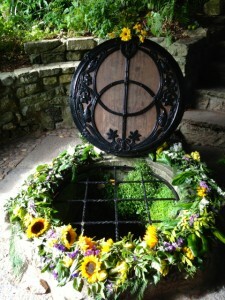 We were blessed to be able to hold our workshops at the famous Chalice Well in Glastonbury, Somerset. Last summer when Mamiko and I made our first pilgrimage to Glastonbury, we fell in love with the beauty and energy of the Chalice Well gardens and spent as much time there as we could. The energies of the sacred springs that flow through this area create a perfect environment for healing work, especially Lemurian Healing. 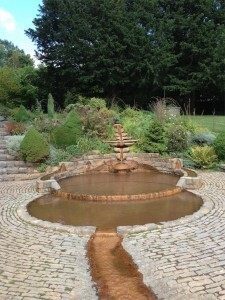 We thoroughly enjoyed the meeting space at the Chalice Well. 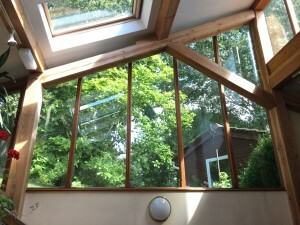 The ceiling and wall windows made us feel like we were outside in the middle of the gardens. Everyone’s enthusiasm for Lemurian Healing in Glastonbury took us a little by surprise. When we planned this visit to Avalon, we weren’t sure if a Western audience was going to resonate with our healing modality or the way in which we teach it. Thankfully, everyone enjoyed the experience of working with us, connecting with each other, and opening themselves to the ancient healing wisdom of Lemuria. Even before the workshops were finished, people were asking us when we planned to return. And they weren’t just interested in Lemurian Healing. Mamiko’s oracle card deck, Angel Cards, and her knowledge of Lemurian Goddesses and Goddess temples had also inspired them. 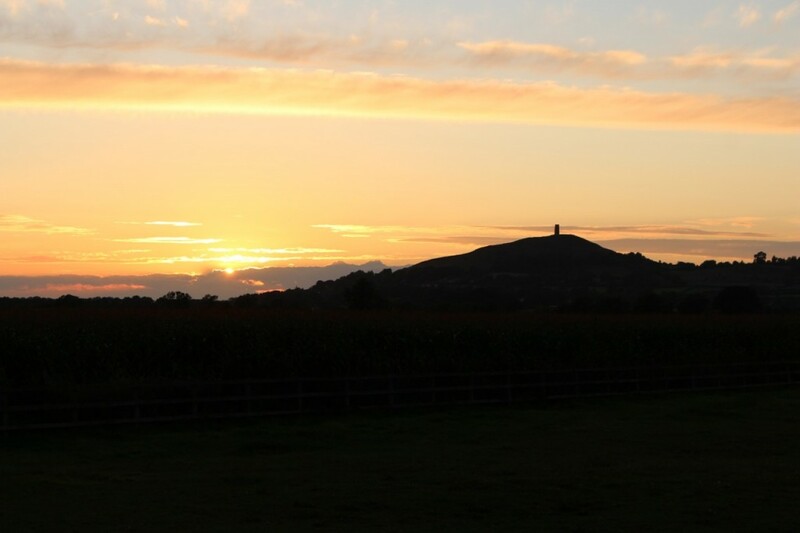 And so, from this modest gathering in Glastonbury, we will trust wherever the path leads us. At the very least, we now feel more confident about sharing Lemurian Healing—and related topics—with audiences around the world. 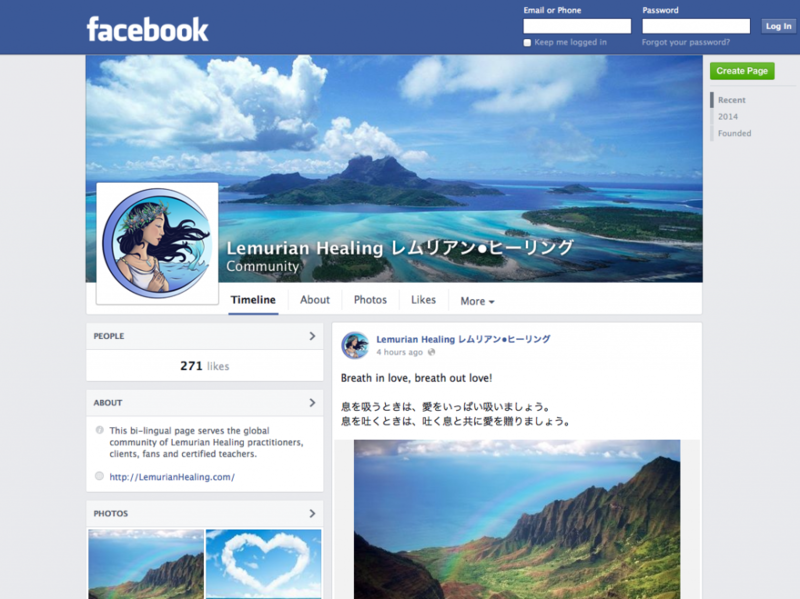 We just opened a new bilingual page on Facebook for Lemurian Healing practitioners, clients, teachers and fans around the world. In addition to our long-established audiences in Japan and Hawaii, we now have certified practitioners from the UK, Hungary and Ukraine! Visit the Lemurian Healing page on Facebook.